Factory Custom Versus a Custom Build! 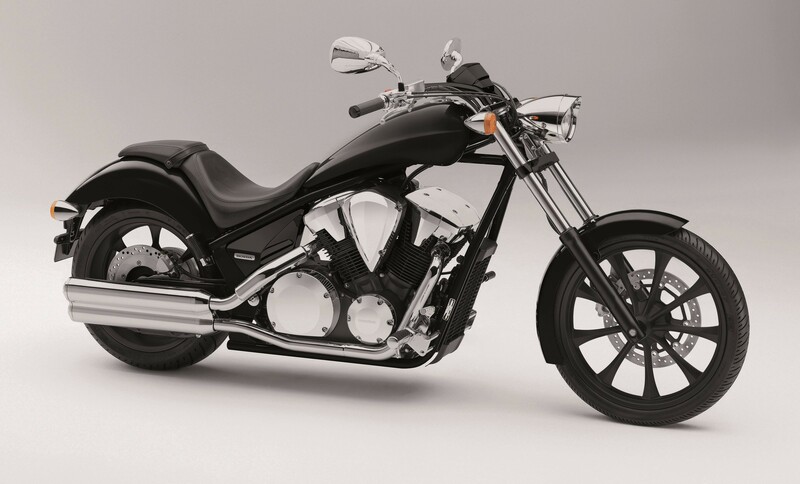 In this article we will discuss factory custom choppers versus a custom built bike. 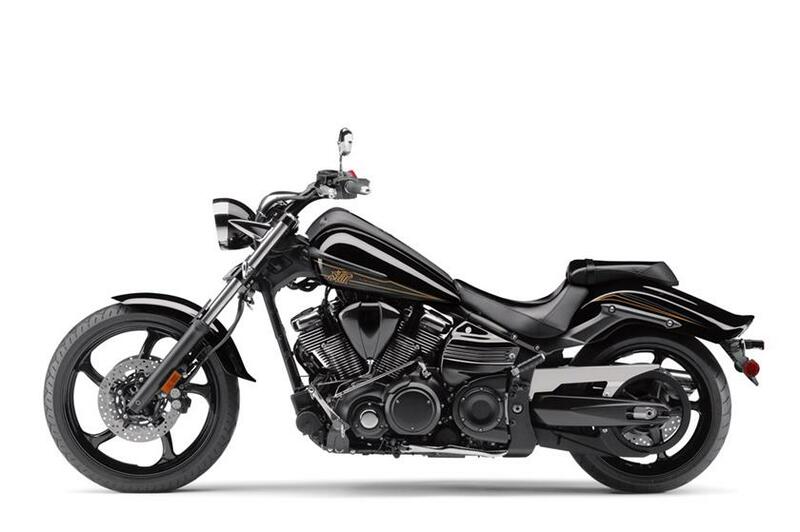 Can a motorcycle manufacturer ever produce a real custom bike? Factory customs versus custom builds, just what are the pros and cons? 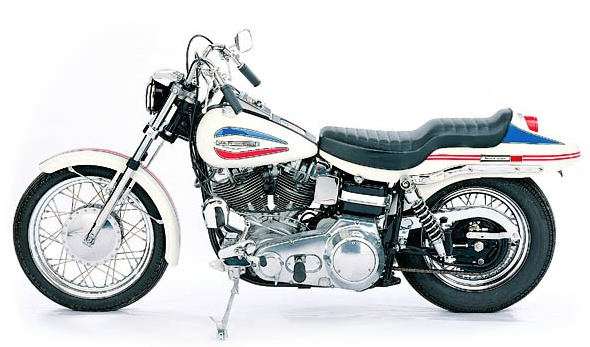 There may be rare examples of the factory custom in the dark recesses of motorcycling history, but the1971 Harley Davidson Super Gide is considered to be the first. It was a brave attempt, considering the circumstances. Just months after the last minute buyout by AMF prevented HD from going down the tubes, Willie G Davidson got the keys to the design department. With no money to spare for a new engine or frame development, and with an ax still hanging over the company it was down to Willie G to save the day. His idea was to quite literally, build a parts bin special by mixing and matching existing stock. 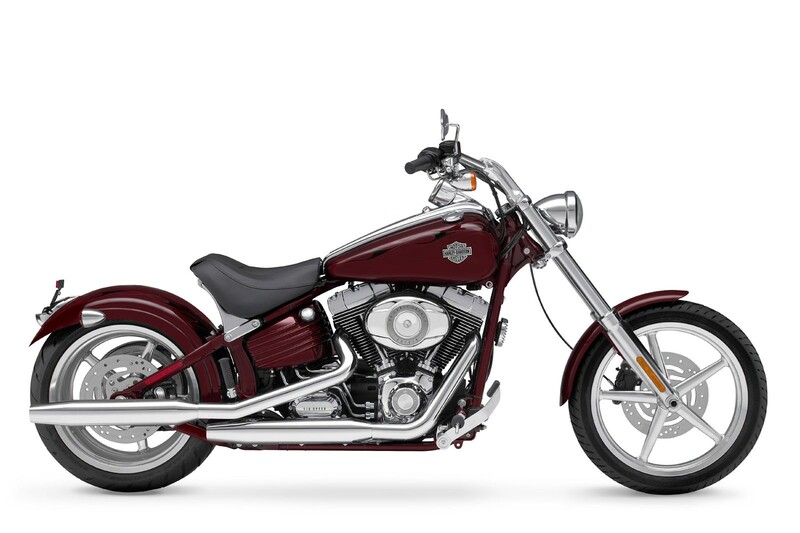 These financial restrictions are the reason why the 1971 Super Glide had an Electra Glide frame and suspension, mated to a Sportster front forks, wheel, and brake. People on the whole liked it, but the rear end was the stuff of nightmares. Officially called the ‘boattail’ it was a design malfunction that should have been locked away in an attic. To be fair, the HD boattail wasn’t the only factory custom to break the mold only to fall at the last fence. Let’s take a look at the 1971 Norton Hi Rider! Now that we’ve established the lineage of the factory custom what are the pros and cons of actually buying one? The chances are that the factory custom you have your eye on is a variation of an existing model. Meaning, that the engine is not only well established but also any problems have been ironed out. Underneath the cleverly re-worked seat and the tank will be frame and suspension components. These are also from existing stock, so there should be no issues there either. A good example of this is Ducati’s original Monster (frame from the 900 Supersport and forks from the 750 SS). 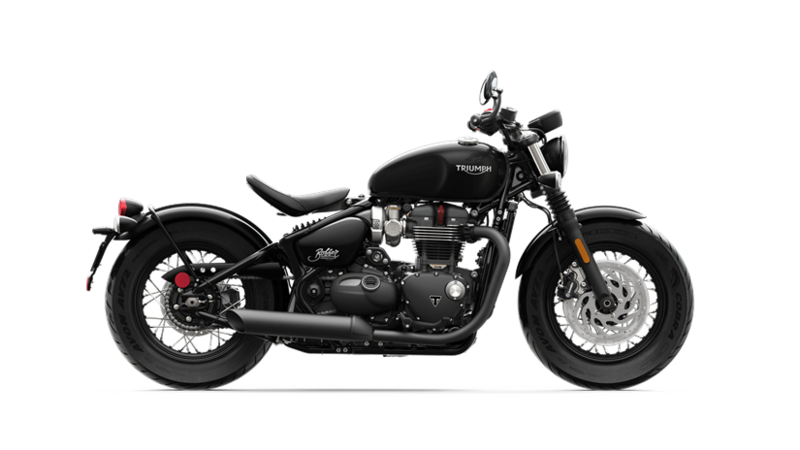 This parts-bin mentality is not always the case though, as can be seen from Triumph’s recent Bobber launch. Here, the press releases proudly acclaimed that the frame was all new and purpose built for the job. When a manufacturer releases a new style frame; it’s a fact that they’ll have tested the frame to destruction as well as logging thousands of miles on it to ensure total safety. Also, let’s not forget the biggest ‘pro’ for fans of the factory custom. Namely, you get the safety net of a warranty and can in all probability secure finance from the dealer. When a bike is built by a manufacturer, regardless of how cool it is, it will come down to one size fits all. So inevitably, you’ll find parts of it that just don’t feel right, like the handlebars, seat or foot pegs. To comply with emission and safety regulations, it will come so clogged up and quietened down; you’ll be lucky to know when the engine’s running. It will also be full of those annoying stickers that warn you against tampering with everything. But the biggest con, against the factory custom, is quite simple. No matter how cool you look boogieing on down to bike night when you park up, someone can pull in next to you on the same bike. So, what about the flip side of the coin? The build-your-own idea first emerged way back in 1904 at the very dawn of motorcycling. An enterprising young fellow called Harold ‘Oily’ Karslake couldn’t find a motorcycle he liked, so he built his own. Not an easy task as motorcycles were in their infancy, but Harold got hold of a 402cc De Dion engine and put it into a Quadrant frame. Harold made many of the ancillary components himself, and he called it the Dreadnaught. How do we know all this? Apart from the bike still existing, he wrote his entire build process down in a booklet published in 1911. Without a doubt, there is an innate satisfaction in building your own custom bike, so let's run through some of the pros for the self-build. Firstly, it’s an individual statement and testament to your skills as a spanner man. You can go from subtle to the polar opposite when it comes to customizing, but even if the changes are low key, you still won't see another bike exactly the same. You are building it to suit yourself, so not only does it look right (to you) it also feels right. Now for the cons, and there are lots. If it were easy, everyone would be doing it, and there would be no market for factory customs. First and foremost, depending on what you’re building, it can be a financial bottomless pit. This financial consideration especially applies if you’re building from scratch. Fabricating something that fits well and looks good is not easy. Custom bikes are notorious for needing constant attention, and not everyone has access to a workshop or quality tools. Once again it depends on what type of custom you build, but there is always a price to pay. Although that hardtail Panhead with the 20’’ overs looks groovy try riding one for any distance on European roads and you’ll soon realize that it requires determination and a spring steel spine. Self-built bikes can also be difficult or more expensive to insure and build times never go to plan, so give yourself a timescale then double it. Take A Chance Or Play It Safe! Some people love to ride and like the idea of something a little different, but either don’t have the skill-sets or the time to build it. For them, the factory custom is tailor made. For others, however, a custom bike is just that, something individually customized by its owner that shows the world that they tap their foot to a different rhythm. Does either camp necessarily take the higher moral ground here? Probably not, bikers all know what discrimination feels like without doing it to one another. Take the middle ground here and look at factory customs as a great base from which to start hacking away.